Now that the deadline to make tax investments for financial year (FY) 2019 is over, a lot of you may choose to take things easy. But you shouldn’t because FY20 has just begun and, ideally, tax planning should be done at the beginning of an FY and implemented throughout the year. Postponing tax investments to the last-minute is not advisable as it can often result in bad investing decisions and keep your money stuck in products that are not suitable for you. So this FY, plan your tax-saving investments now. How much tax can be saved under 80C? Section 80C offers a large tax benefit with a deduction limit of₹1.5 lakh. To claim this deduction, you can invest in various tax-saving options such as Public Provident Fund (PPF), National Pension System (NPS), Employees’ Provident Fund (EPF), life insurance premium, equity-linked saving schemes (ELSS), and claim expenses on children’s tuition fees and home loan principal. Once you are aware of the limit and options available, you should recall each eligible expense and investment that you have already made or are eligible for claim. This calculation will help you arrive at the deduction benefit which is yet to be exhausted. For instance, suppose a salaried employee has to repay a principal of ₹70,000 on a home loan and a tuition fees of₹20,000 for his children in FY20, the two expenses would together exhaust ₹90,000 of the overall limit of ₹1.5 lakh under Section 80C. Since he is a salaried employee, he would also be contributing to EPF every month. Let’s say, this totals up to₹20,000 for FY20. Now, he will be left with a gap of ₹40,000 to invest by 31 March 2020, to fully exhaust the 80C limit. There are several ways to invest this ₹40,000. By exhausting his 80C limit, the person will be able to save taxes up to ₹46,800 (based on the maximum tax bracket) in FY20. Liquidity is an essential criteria for many taxpayers. It is important to not choose an investment just to avail the tax-saving benefit. Try to understand the role of each investment in your overall financial plan. Here are some parameters to consider before making tax-saving investments. Risk factor: Usually, investments in ELSS and unit-linked insurance plans (Ulips) are more risky since they are equity-based and their returns are linked to the stock market. Check your risk appetite before making such investments. However, remember that the returns from them are, typically, better than most other products covered under 80C. The risk factor involved in traditional insurance plans, PPF, NSC, tax-saving fixed deposits and NPS usually ranges between low to moderate. Return expectation: When it comes to returns, options like traditional insurance plans, PPF, National Savings Certificate (NSC) and tax-saving FDs are at the bottom. Options like debt funds of Ulips and NPS come higher with slightly better returns. ELSS, however, has the potential to give high returns. Invest through systematic investment plans (SIPs) to average out risk. Income taxability: Take into account the taxability of the income generated from the investments made. Income from tax-saving investments like PPF, life insurance policies, Ulips and Sukanya Samriddhi Yojana are tax-free. ELSS, pension plans and NPS are partially taxable, while five-year FDs, NSCs and Senior Citizen Savings Schemes are fully taxable. Liquidity: When investing in tax-saving investments, several options have long lock-in periods. A good tax plan will blend investments in a manner that your portfolio offers liquidity, savings, returns as well as protection. 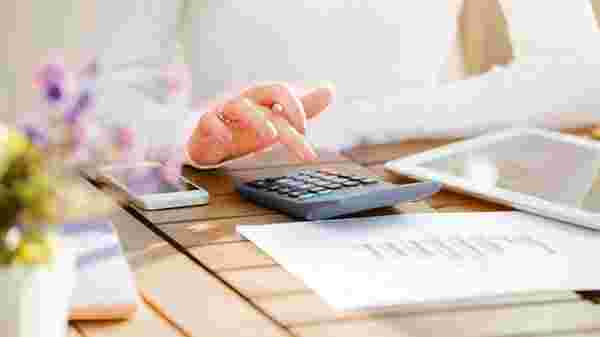 Investing the entire tax deduction amount in something that locks your money for a long period may cause liquidity issues in case of an emergency.